From cold brew to compliance and everything in between, HR Redefined 2018 had something for everyone. This year’s conference featured 47 speakers and hosted over 300 HR professionals for two power-packed days of learning, networking, and hacking. Adam Grant’s keynote was full of practical advice and insights into what it means to be an “original” in HR. His firsthand experiences had the audience laughing and inspired them to think deeper about their profession. “I would love every single organization in the world to see HR as the most important strategic part of the company,” Grant said. To dive deeper into what Adam Grant had to say in his keynote address, read the full recap here. Have you ever been to an HR conference that had its own book cart? Namely recently started its own book club for HR professionals, HRreads, which currently has over 100 members. Although HRreads is an online-based book club, HR Redefined attendees received complimentary hardcover and paperback books. 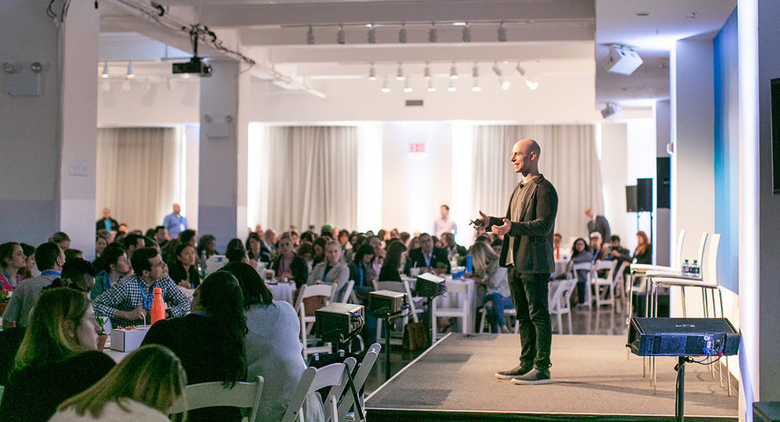 Originals and Give and Take by Adam Grant flew off the shelves, and Big Magic by Elizabeth Gilbert gave attendees a chance to dive into a more creative approach to living. With a total of five book options, there was something for everyone to enjoy. You can join the HRreads conversation by clicking here. Want to join in on the fun this year? Click here to attend HR Redefined 2019! 3. Name Plates, Cold Brew, and Bears—Oh My! When attendees weren’t in sessions there was no shortage of activations to visit! In the lounge, Dirty Bandits, a small Brooklyn-based design firm specializing in typography, put a spin on the classic desk name plate. The Namely Plates station was buzzing with attendees eager to take home their personalized swag. Hold still and say cheese! It’s not everyday that you get the opportunity to take a photo with a six-foot tall bear. The one and only Namely bear came to HR Redefined camera-ready. Polaroids, selfies, and group photos were all welcome. Plus, spending a full day soaking up new information can be tiring. Luckily, our cold brew station, courtesy of Lattice and Rise Brewing Co., kept attendees alert and ready for more. What happens when you have a room full of HR heroes, Namely advisors, and Sayge professional coaches? An HR hackathon of course! Redefine Live participants had the opportunity to “hack" solutions to some of the biggest challenges and opportunities in HR. The ten teams presented on the main stage before a panel of top industry judges, and the winning team walked away with passes and flight vouchers to HR Tech, two months of complimentary Sayge coaching, and a free pass to HR Redefined 2019! After two days of hands-on training, strategic discussions, and interactive presentations, we wrapped up HR Redefined with a very special announcement. The new Namely Scholarship is officially open to HR professionals looking to grow their careers and make an impact on the profession. If you care deeply about people and dream about the future of HR, we want to hear from you! These are just a few of the highlights from this year’s conference. For more, make sure to check out #HRRedefined18 on Twitter, LinkedIn, and Facebook! In weeks to come, the Namely Blog will also publish full recaps of the top sessions. 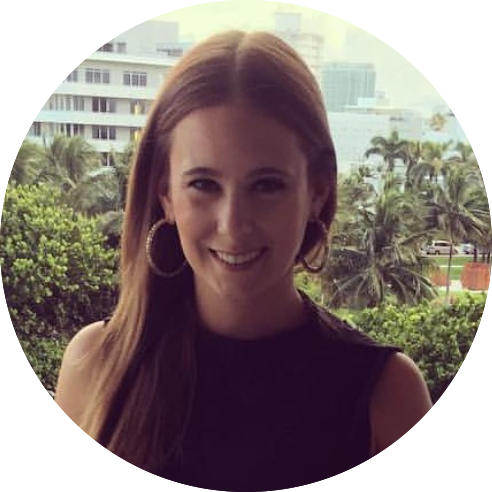 Nora McCarthy is a Senior Social Media Associate at Namely, the all-in-one HR, payroll, and benefits platform built for today's employees. Connect with Nora and the Namely team on Twitter, Facebook, and LinkedIn.